Learn how to turn on push, SMS, or email notifications so you always know when new jobs are available. Notifications are an essential part of using Properly. You’ll want to know when new jobs are available and whether any assigned jobs have been cancelled. 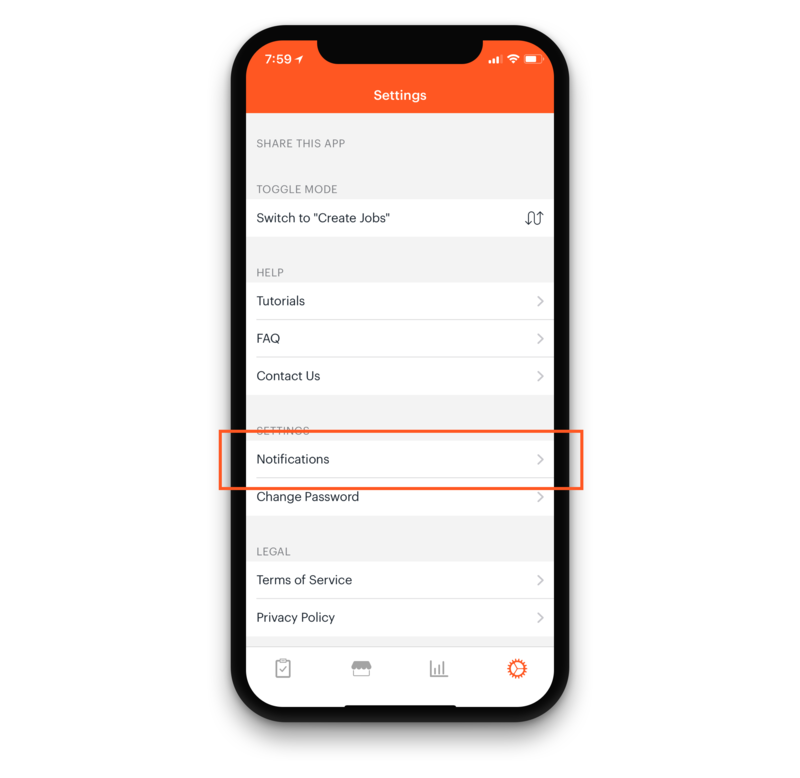 You can also get notifications when your client sends you feedback, when you’ve earned a new badge, and when job requests offered to you have expired and are no longer available. On the mobile app, navigate to your profile settings by clicking the gear icon in the upper right-hand corner of the app. Tap “Notifications”. 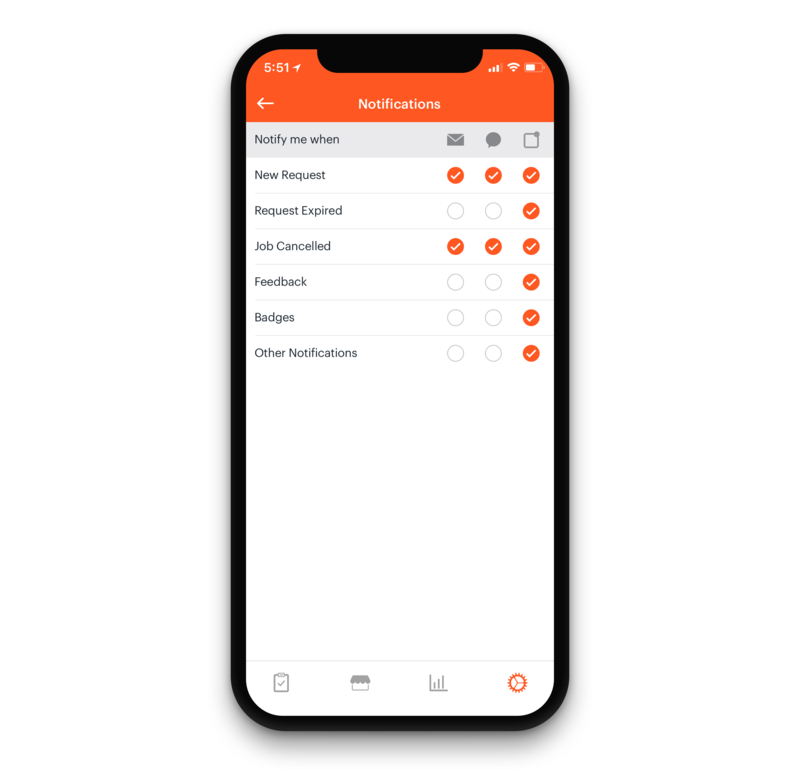 Without Notifications, you may miss out on jobs, not know when jobs have been cancelled, or fail to receive essential feedback from your clients, so be sure to activate yours!